Feeling part of a greater whole brings a unique form of energy. Who doesn’t want to discover the large common denominator within different ‘worlds’, the common ground that binds us? In order to feel that sense of belonging, we first have to step back from the affairs of the day and make real contact. But what does ‘connect’ really mean, and how to you use it to achieve success? By asking this question on the same day, in the same setting and in different time zones to a select group of top women from various sectors, Houthoff entered a parallel universe with the theme of Culture, Cocktails and Connect. A universe in which diverse women leaders working at a considerable physical distance from each other, nevertheless agreed in their conviction that a genuine ‘connect’ based on intrinsic interest underlies every successful contact. As the venues in Amsterdam and Brussels filled up with corporate ladies at five o’clock in the afternoon, London was still in the starting blocks, Tokyo and Singapore were already in full swing, and New York had not yet begun. It’s that same feeling we have at New Year, when some countries are already gazing in wonder at the fireworks while others are still counting down to midnight. These were the similarities so far between the mixed group of top corporate women from different cultures. One of the invited participants in Brussels hit the nail on the head with this remark: “I have learnt that despite their different cultures, people don’t differ that much at all from each other.” But is everyone on the same page as far as the big problems in the corporate world are concerned, such as the minefield that is remuneration? In the run-up to the event, the Amsterdam panellist Leni Boeren (member of the executive board of Van Lanschot Kempen, CEO of Kempen, supervisory director at Air France-KLM, Tata Steel Nederland and Transtrend ) came up with the idea of investigating, by way of an in-depth analysis, to what extent there is agreement on issues relating to contacts that will be of importance in the long term. After all, to measure is to know. Boeren selected a few questions, drawing on material from FCLTGlobal (Focus Capital on the Long Term), a non-profit organisation that wants to encourage a long-term focus in strategic decisions and examines to what extent exectuives of organisations succeed in looking beyond the issues of the day. The audience was able to vote using an app, and did so en masse. 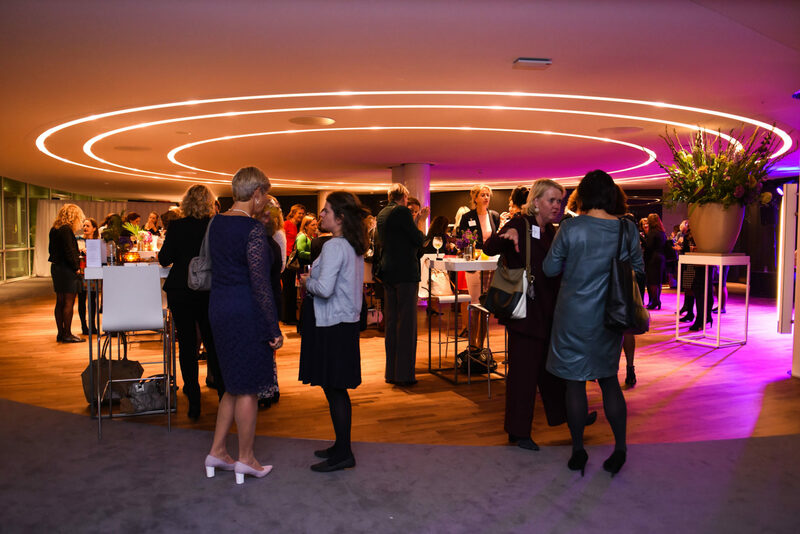 The women events are not new to Houthoff: the law firm began hosting women events in 2015 on the initiative of lawyer and counsel Marloes Brans, currently working for the Amsterdam office but previously based in New York. Brans regularly attended networking events in New York and was inspired by the vibe that is created when you bring together ambitious top corporate women and give them a chance to have their say in an intimate setting. She imported the idea of such an event to the Netherlands, putting her own spin on it: at each event, Cocktails and Culture & C… are central. The last variable is interpreted freely each time: ‘Compliance’, ‘Commissaris 3.0’ and ‘conflict’ have already been themes for discussion. What is new for Houthoff, though, is the simultaneous rollout of the event in all countries where Houthoff has an office. An operation that took quite a while to get off the ground, but at the same time seems logical because coincidentally the offices in London, New York, Tokyo and Singapore are all headed by a woman. The Brussels office is run by a man, but the second in command there is a woman – so there’s certainly no lack of enthusiastic moderators. The reluctance to share practical examples is certainly no reason to conclude that the women in the other countries don’t engage in a bit of soul-searching. At most they prefer not to discuss the results in public. Following the plenary session, we don’t know whether this subject was actually discussed in greater detail while getting together for the theme’s second ‘c’: Cocktails. An easier topic for discussion was the question as to what ‘connecting styles’ we use at home are also suitable for the office. It produced some extremely honest responses. In Brussels, a CEO pointed out something that we all know but don’t act on enough: “Switch off the phone when you’re together, both at home and with colleagues. Go entirely offline, that really helps.” Intuition can also be used on the work floor. Lawyer and senior associate Greetje van Heezik actually doesn’t understand why she regularly follows her gut feeling at home, but follows it less at the office. *Taking into account the Chatham House Rules, this article does not contain any names of panel members and invitees, with the exception of Houthoff staff and the Amsterdam panellist Leni Boeren, who played a very special role at this event with the compilation of survey questions.